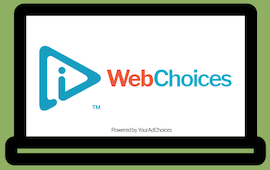 When you click on the YourAdChoices Icon, you get control over how information about your interests is used for relevant advertising. Use the Icon to understand when information about your interests is being collected or used—and by which—companies. Exercise choice on the Web for desktop and mobile or mobile apps—with one or more participating companies. 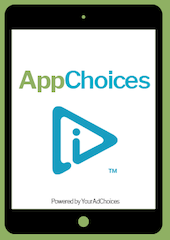 YourAdChoices is brought to you by the Digital Advertising Alliance (DAA). Find out about the DAA program's protections and how participating companies are held accountable. Advertising based on your likely interests gives you more relevant ads and offers and helps pay for the online content and services you enjoy.